To lose your luggage during space travel would be completely illogical. 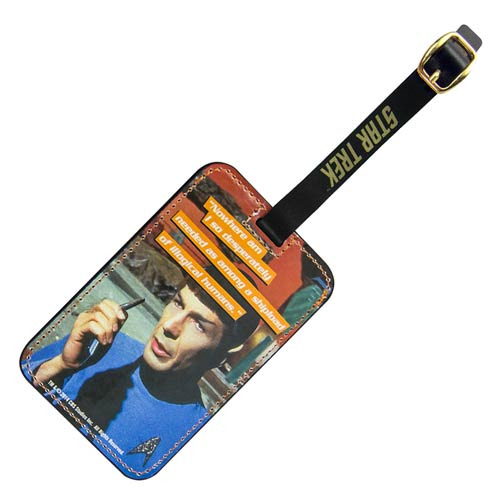 So bring along Spock with the Star Trek Spock Graphic Luggage Tag so that doesn't happen! Show off your Trekkie side while keeping track of your gear. The tag measures 4 1/4-inches tall x 2 3/4-inches wide, an image of Spock with the quote, "Nowhere am I so desperately needed as among a shipload of illogical humans." The tag also features a clear ID window in back and an adjustable strap with a printed Star Trek logo. Ages 14 and up.